Remember that imperial purple chilli flower, well, it may well have set. I had to check in the poly tunnel that the plants were still there. Plus there was an aphid infestation that needed removal previously. Lo and Behold, we have the tiniest of purple haze fruit. These start out purple and go a beautiful red, like other cayennes. 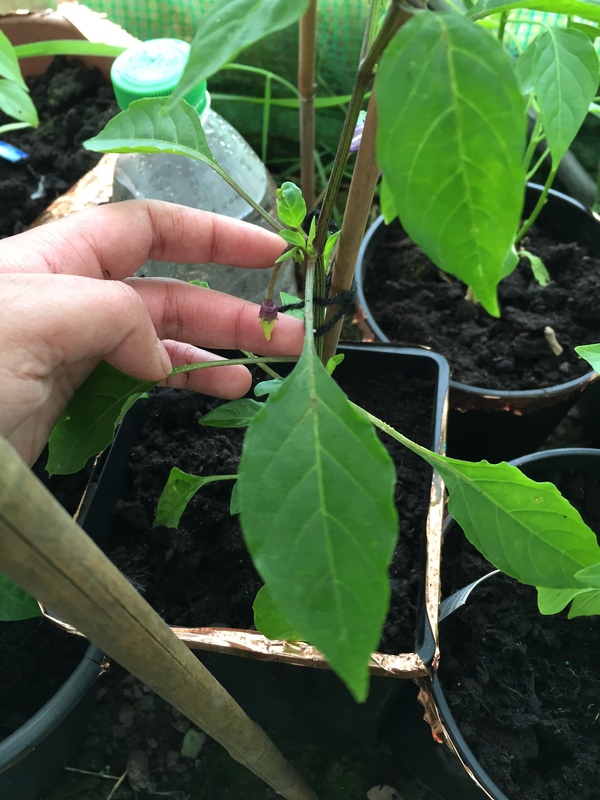 Funnily enough, the cayenne plants have got a couple of pepper white flowers on. The purple haze has a couple of other flowers forming too, so we may well end up with at least a couple of chilli fruit at some point.